Native throughout Europe and Africa, yellow dock is a common wayside plant and garden weed that thrives on shrubby waste ground and grass verges. The root is mildly laxative and used in treating constipation and iron deficiency. Women use it during menstrual period. The root also has a blood-cleansing effect, often combined with dandelion, chickweed, cleavers, and burdock to make a spring tonic. This helps dispel toxins from the system and improves oily skin and acne. Take 1/2–1 cup 3 times daily of a decoction made from 1/2oz (15g) of root to 17fl oz (550ml) of water simmered gently for 20 minutes for mild constipation, or to stimulate bile flow to improve the digestion and help clear toxins from the system. Take 20–40 drops (1–2ml) of tincture 3 times daily as part of a cleansing regime for conditions such as irritant skin rashes and eczema, boils, acne, shingles, rheumatism, and osteoarthritis. Use 1/2 cup of the decoction (made as above) diluted with an equal amount of warm water 2–3 times daily for mouth ulcers. In homoeopathy, yellow dock root is used for coughs, sore throats, and hoarseness made worse by cold air and damp weather. Take 1–2 tablets up to 3 times daily. A perennial weed that self-seeds enthusiastically, and which few people would want to cultivate in their gardens. Seeds can be gathered from hedges in autumn if required and scattered where you want them to grow. 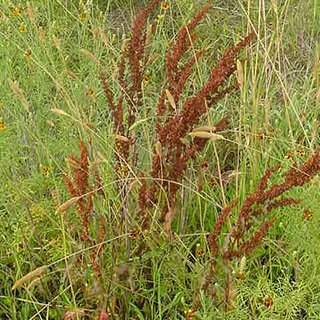 Once established, the plant can be difficult to eradicate thanks to its tough root. It will tolerate any soil and grows in both sun and shade. Dig up the roots in autumn, wash thoroughly, chop, and dry.